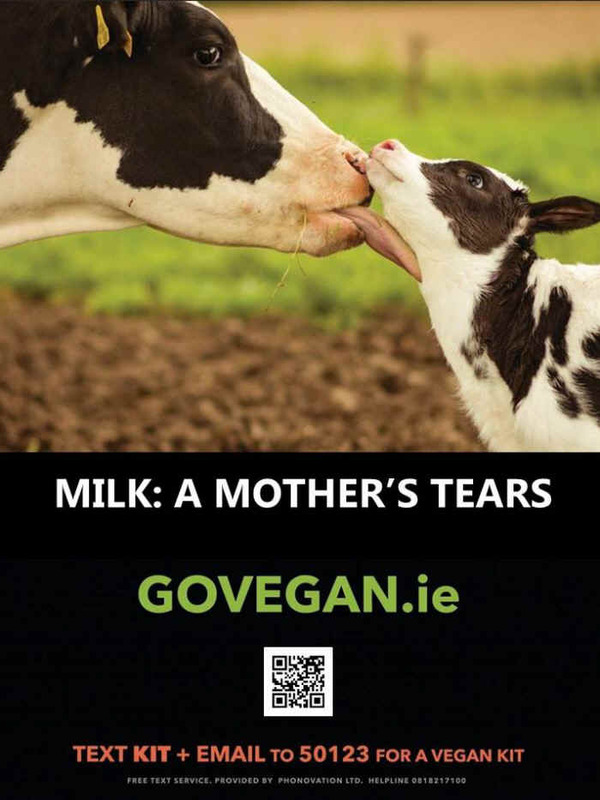 Also read The Go Vegan Campaign in Ireland. Is it extreme? Manipulative? The campaign is designed to counteract speciesism at the levels of individual prejudice and the socio-cultural norm. 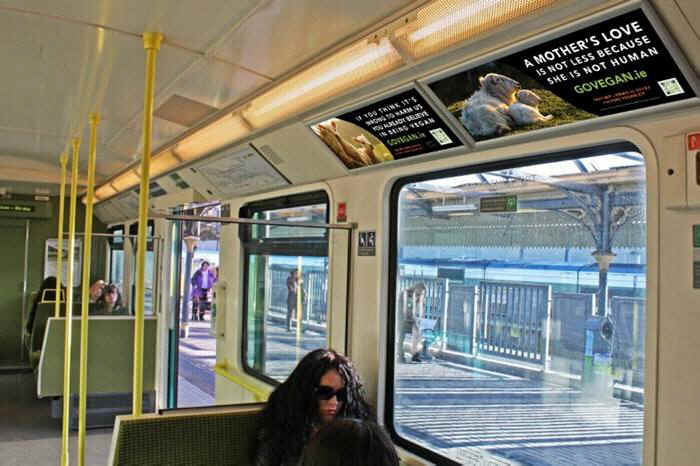 The ads allow individual non-humans to use their voice to ask for empathic engagement, to awaken conscious awareness of the harm we cause by using them, and to ask for the justice to which they are entitled. 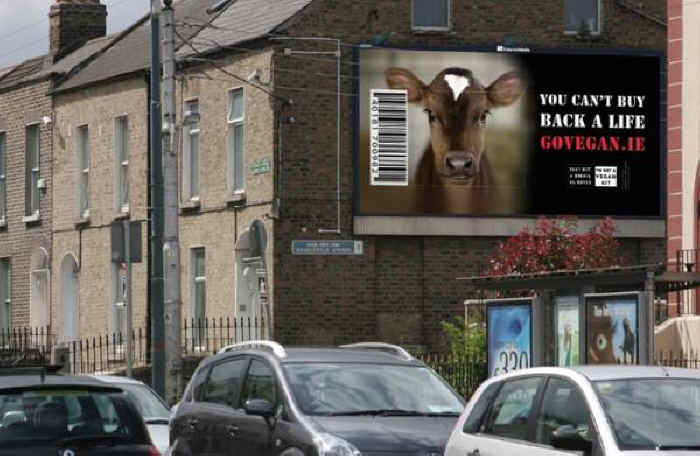 This campaign has struggled to launch in an environment of censorship, indicative of the deeply entrenched speciesism that permeates society. 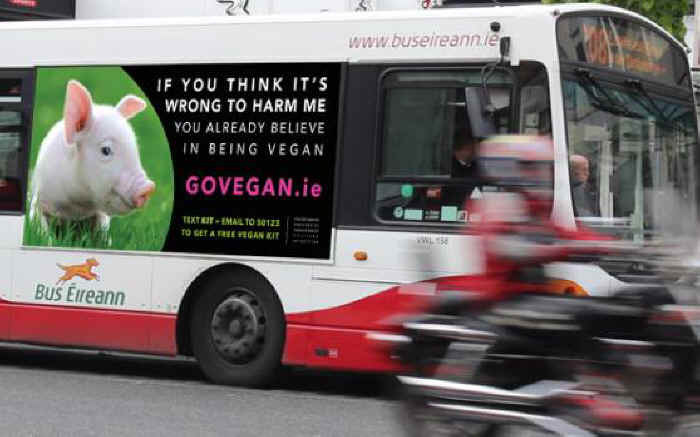 Eden Farmed Animal Sanctuary & Matilda’s Promise, Animal Rights & Vegan Education Centre, have launched a Public Advertising Vegan Campaign on transport and street signage throughout Ireland. As far as we are aware, this is the first campaign of its kind in Europe (with the exception of some UK campaigns of a different nature). The campaign will run throughout November in celebration of World Vegan Month. This is an effective way of reaching a large population of non-vegans. 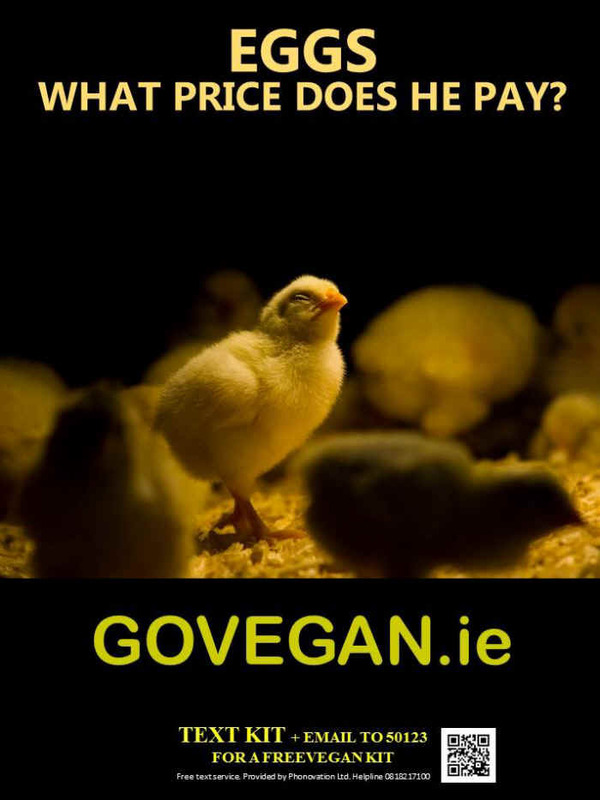 The ads provide a direct link, through Free Text and a QR Scan Code to a Free Vegan Kit and to an educational website www.govegan.ie, both of which offer practical information to begin living vegan, as well as comprehensive information on the issues concerning our use of other animals. 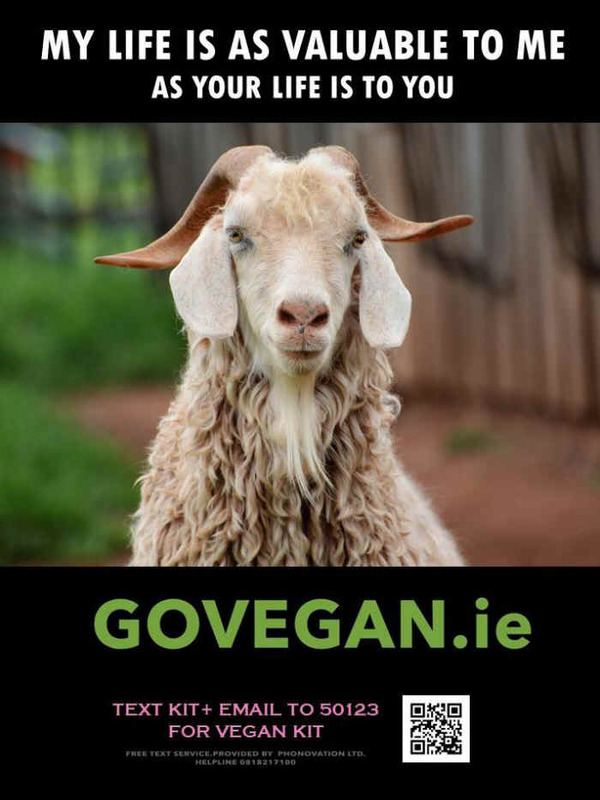 We are especially grateful to the non-humans who feature in the ads, vegan kit and website including: Ferdinand, the beautiful goat from Popular Sanctuary, the hen photographed during an undercover investigation by Tamara Kenneally, the pig from Brightside Sanctuary, rescued calf PJ, formerly a resident at Willowite Sanctuary, now living at Kinder Pastures Sanctuary, and Florence and other residents at Eden Farmed Animal Sanctuary.